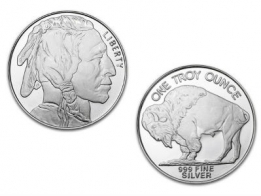 Brand New One Half Ounce American Buffalo Silver Silver Round (Private Mint) .999 Silver. 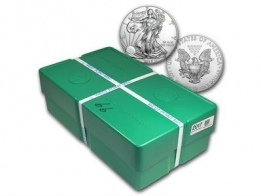 Each coin contains one half ounce, or 15.5 grams of 999 fine silver bullion. The design on these coins can vary slightly, depending on the mint that produces them. However, the front of the coin features the portrait image of a Native American Indian, and the reverse side of the coin features an image of an American Buffalo. These rounds do not come with a face value as they are privately minted and not issued by a government, with legal tender value. 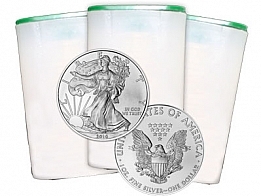 Generally, silver rounds are sold at a lower premium than silver coins, and therefore are popular with clients looking to buy silver at low premiums. View todays silver price per ounce. Contact us to sell silver buffalo rounds.